If you wish to compliment your household, using rug runners is the easiest way to do so. They help in protecting and maintaining your tile, hardwood, concrete or marble flooring. They are usually small, and they look like small carpets. You can find rug runners in a variety of styles and sizes. Since their primary purpose is to act as compliments, you do not have to look for colors that match perfectly. Rug runners bring out a uniquely luxurious look in your space. All you need to do is make a wise selection from the variety of runner rugs available in the market. If you like, you can use a contemporary style for your decoration purposes. However, you can be more open-minded and go for the traditional or classic style of rug runners. All of them will enhance your interior and still look good, depending on how and where you place them. If you are interested in purchasing rug runners, you can go for the more international ones. Oriental runners are among the most popular rug runners. The original and genuine Oriental rug runner is usually handwoven. Handwoven Oriental runners are made in Iran, China, Nepal, Turkey, India, Tibet, and other countries in the Far East and Northern Africa. It means that if you come across a rug runner made in Europe, then, it is not genuine. Also, if it is made of polypropylene or nylon, then, you know that it is fake. Oriental rug runners are made by hand. Again, if you find one that is machine made, it is counterfeit. They are either woven without a pile or knotted with the pile. These are just a few guidelines to help you when shopping for an original Oriental rug runner. One advantage of rug runners is their flexibility. You can move them from one room to another as you may wish. Besides, they do not take up so much space. They will enhance the room and give it color. Most people love these types of rugs. 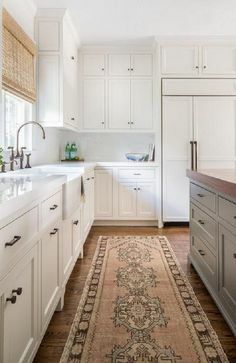 In fact, many households cannot live without the use of rug runners for decoration because then, they will consider the house too dull to dwell in. The main difference between rug runners and other types of rugs is their length. They are usually long, and that is why they are referred to as runners. You can purchase many runner rugs so that you interchange them whenever you wish. For example, when you change curtains, you can have different runner rugs to switch with. It means that you can efficiently achieve different looks at different times. You can place rug runners at the entrance of the house or any other strategic area such as the hallway. You do not have to follow any specific rule. All you need to do is to place them in areas that you feel are necessary. When shopping for rug runners, buy colors that will make your space lively. Gone are the days when people used to stick with dull colors. If your area already has too many colors, you can tone it down a little. Remember that when it comes to interior design and especially decorating with rugs, distinctive stuff always looks better. Do not live in a boring home when you can tap on the magic using rug runners.